This weekend saw me swap the special stages for the race track, as we launched SSTV, a new motor racing series put together by the team behind Special Stage rally TV. Our first show would see us arrive at Castle Combe to film the 50th anniversary race weekend for the Historic Sports Car Club (HSCC). You can read my thoughts on the racing, and the HSCC on my blog over at Classics Driven, HERE. Former Top Gear, and current Fifth Gear presenter, Tiff Needell was reunited with his original Formula Ford Lotus for the HSCC’s 50th anniversary, and given that Tiff is one of the inspirations for both my motorsport, and broadcasting ambitions, you can imagine how excited I was about filming with him. 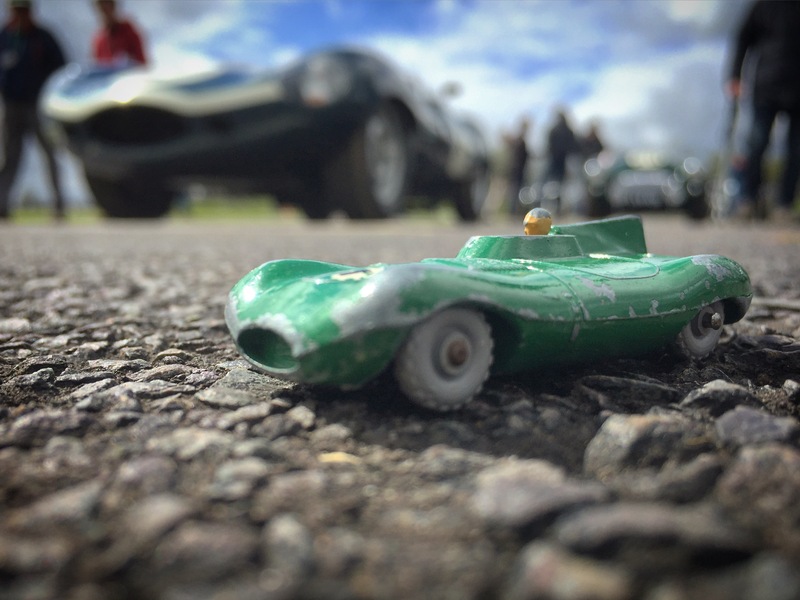 On the race track, the highlight of the weekend’s programme was a chance to relive the very same track, and weekend fifty years ago, when historic sports car racing was first conceived at the Griffith Formula race. The grid from 1966 was recreated, as closely as possible, featuring some of the cars and drivers from the original race. 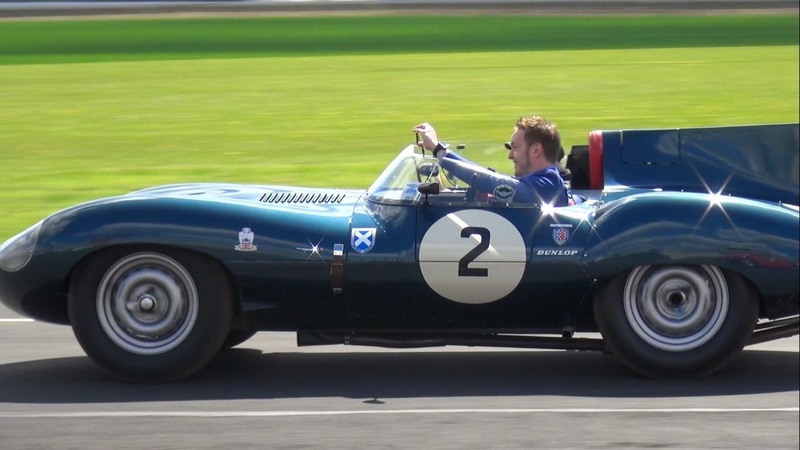 It turns out that the highlight of the race weekend would also end up being one of the highlights of my motoring TV career so far, as I lined up in the lead D-Type Jaguar to take part in the demonstration race. 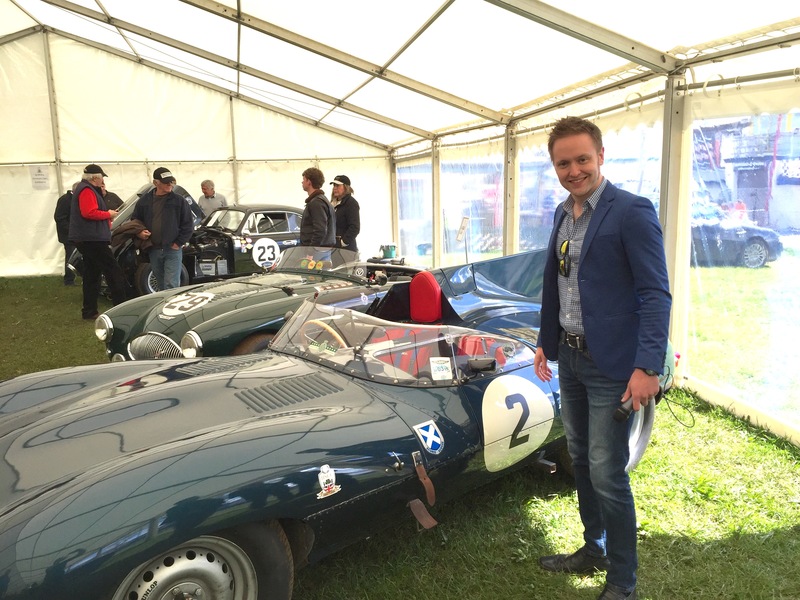 While the crew filmed for the TV show, which you can see in a few weeks’ time on Sky Channel Motors TV and in HD online, I produced a live grid walk broadcast, as well as a live onboard film as I enjoyed a staggering historic racing experience in one of my all-time favourite cars. As you can see above, one of our crew photographed me filming for the TV show, while broadcasting live on social media. A photo which, as my wife says, sums me up perfectly.